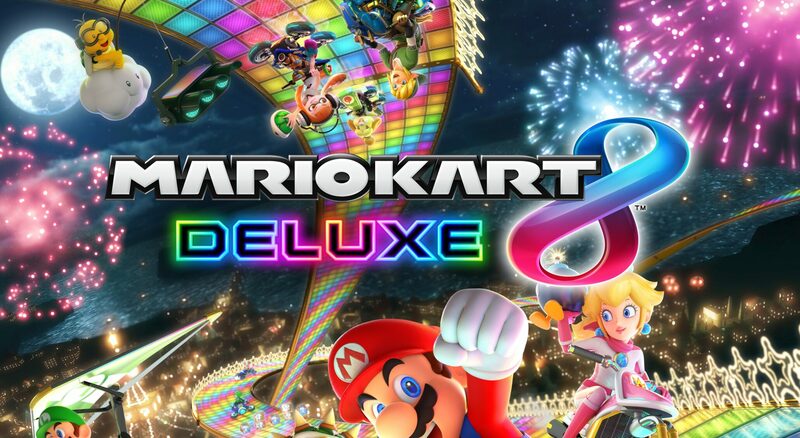 Mario Kart 8 Deluxe, the new and improved Switch release of the latest entry in the series by Nintendo, is now very close to release, and Nintendo has been highlighting the differences between the Switch and Wii U releases quite often. Today, more footage has emerged online, showcasing more of the game’s new features. Today’s new Mario Kart 8 Deluxe footage, which can be watched below, showcases the enhanced Battle Mode, the game’s menu system and more. One of the advantages of Mario Kart 8 Deluxe will be the ability to play the game on the go thanks to the Switch handheld mode, and it looks like players will be able to enjoy quite a bit of gameplay time on the go. According to a report, the game will last around 3 hours on handheld mode with the screen brightness at around 30%, which is around the same time Zelda Breath of the Wild lasts. Last week, a Mario Kart 8 Deluxe Switch bundle has been revealed, but it seems like it will only be available in Russia. The bundle will retail for 24,999 RUB – approximately $ 440 USD, and there are currently no plans for a release outside Russia. Mario Kart 8 Deluxe launches later this month in all regions on Nintendo Switch.